Notorious gangster rapper 50 Cent was once a golden gloves Boxing world champion. 50 Cent was forced to give up his Boxing career after being shot 9 times. He later became a Boxing promoter and now he’s taking a step into MMA. Inspired by the Floyd Mayweather Vs. Conor McGregor bout, 50 Cent decided to start training MMA full time when Conor called him out at the press conference. 50 Cent plans on taking it one step at a time. 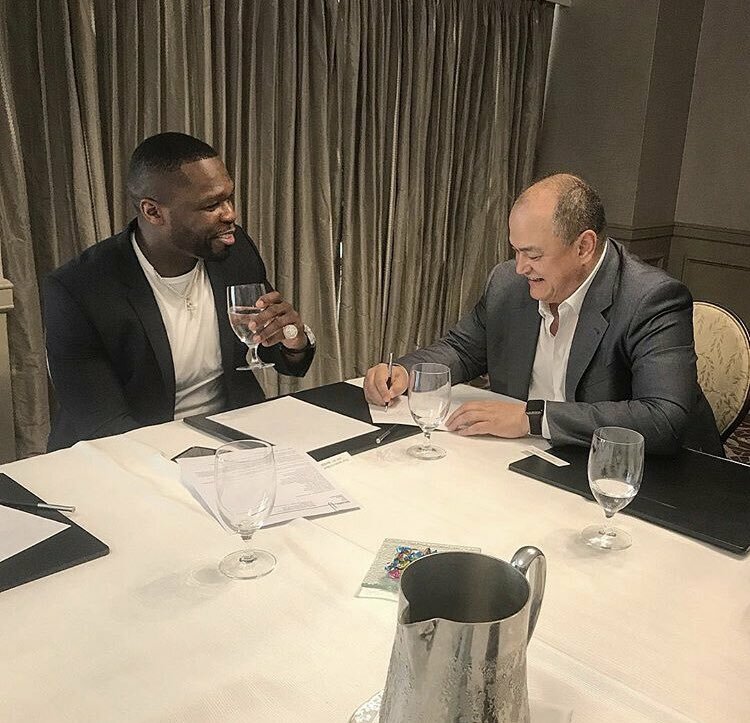 Late yesterday afternoon, Bellator MMA president Scott Coker sat down with the rapper where the two worked out a 3 fight contract ending with a title shot on the 3rd bout. Sources inside the situation are saying that he will compete in the light heavyweight division and plans to make his debut on the December 29th year end tent pole event. Bellator plans to make this a PPV event and 50 Cent should main event versus the one and only, Quinton “Rampage” Jackson. While contracts are still being finalized, we’re hearing that his will be a done deal in the coming weeks and be announced soon. Check it out. Curtis James Jackson III (born July 6, 1975), known professionally as 50 Cent, is an American rapper, actor, businessman, and investor. Born in the South Jamaica neighborhood of the borough of Queens, Jackson began selling drugs at age twelve during the 1980s crack epidemic. He later began pursuing a musical career and in 2000 he produced Power of the Dollar for Columbia Records, but days before the planned release he was shot nine times and the album was never released. In 2002, after Jackson released the compilation album Guess Who’s Back?, he was discovered by Eminem and signed by Shady Records, Aftermath Entertainment and Interscope Records. During his career Jackson has sold over 30 million albums worldwide and won several awards, including a Grammy Award, thirteen Billboard Music Awards, six World Music Awards, three American Music Awards and four BET Awards. He has pursued an acting career, appearing in the semi-autobiographical film Get Rich or Die Tryin’ (2005), the Iraq War film Home of the Brave (2006) and Righteous Kill (2008). 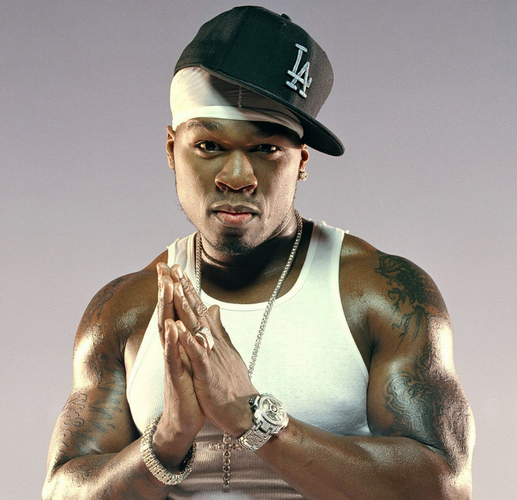 50 Cent was ranked the sixth-best artist of the 2000s and the third-best rapper (behind Eminem and Nelly) by Billboard. Rolling Stone consider Get Rich or Die Tryin’ and “In da Club” to be in their lists of “100 Best albums of the 2000s” and “100 Best songs of the 2000s” at numbers 37 and 13 respectively.